Weighing 6Kg and with fine detail on the logo this casting has some unique challenges. 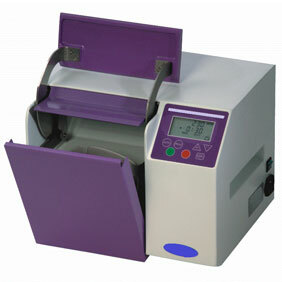 The machining thread needs to be free of defects and a lot of effort is taken to ensure the integrity of the casting. Polycast handles the sub-contract machining of the casting and is able to supply to the customer ready to assemble. 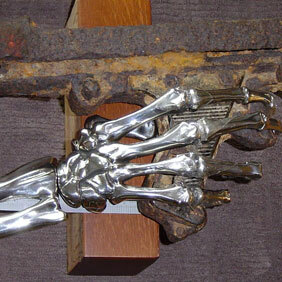 This skeleton hand was made in 3 sections. The fingers were cast from the knuckle joint forward allowing the artist to set them in different positions. The palm of the hand up to the knuckle was cast in one piece and the forearm bones cast a one piece. The artist then joined the parts by welding and added the polish after the parts were returned to us for blasting and barrel rumble. This customer came to Polycast after poor performance of another foundry. We were able to re-design the casting using soluble cores. This allowed areas that had not been previously cast to size to be adjusted. Working closely with the customer we then re-designed the pockets giving greater flexibility of the casting in use. 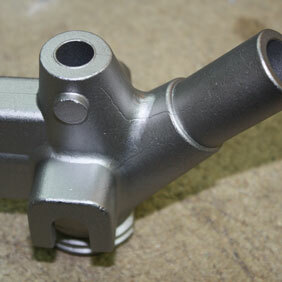 Manufactured using high pressure die casting Polycast was asked to source these castings after the customer had failed to find a suitable supplier. The casting is machined and painted and supplied to the customer ready to assemble to a very high cosmetic and tolerance standard. Polycast has been making shackles on this site well before its launch in 1974. 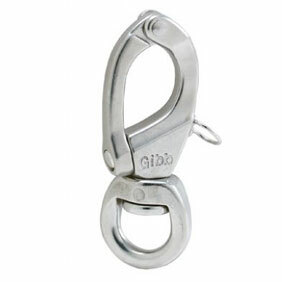 The Gibb shackle has always been made on this site and when the foundry was sold on it maintained the manufacturing. The shackles are supplied completely assembled and tested ready for packaging and shipment. 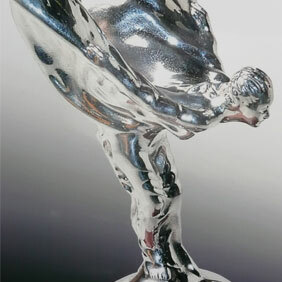 Polycast has been making this prestigious casting since the plant was established at Goodwood. The hair was formed by hand chasing the tool out until the designers at Rolls Royce were happy with the look. Subsequently the SOE has been made in Gold, Silver and with bespoke writing on the base. 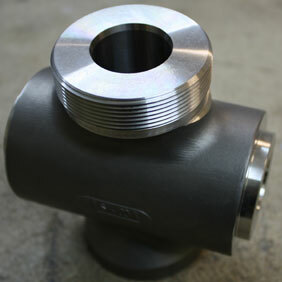 This part was produced from rapid prototype materials able to achieve 16micron surface finish from CDG in Alton. Here shown in the as cast and electro polished condition the part has some challenges on the detailing required which was achieved by great care in the shelling and casting process.